What Happened to the Skeen Family? I wrote the original Untold Stories more than ten years ago. At that time, there was little information to be found on the internet, and since I no longer lived in the area, I had to wait to get my questions about the Skeen family answered. I’ve been doing my research on my own free time, knowing that there was a story there. I haven’t been disappointed. 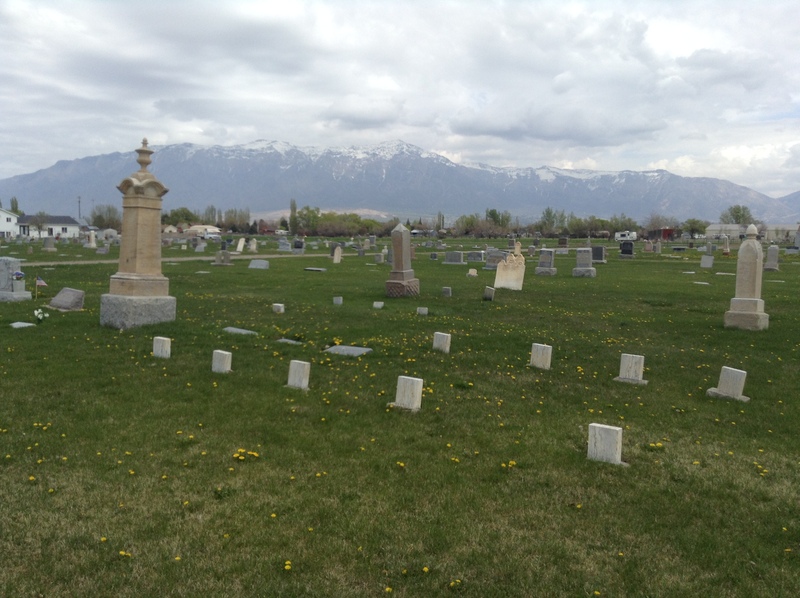 Thanks to a few phone calls, Family Search, Ancestry.com, Plain City Utah.org, and one more trip to the Plain City Cemetery, I was able to find all the information that I needed to complete the Skeen’s story. The story coincides with the history of town itself, so it must be told as part of the town’s history. 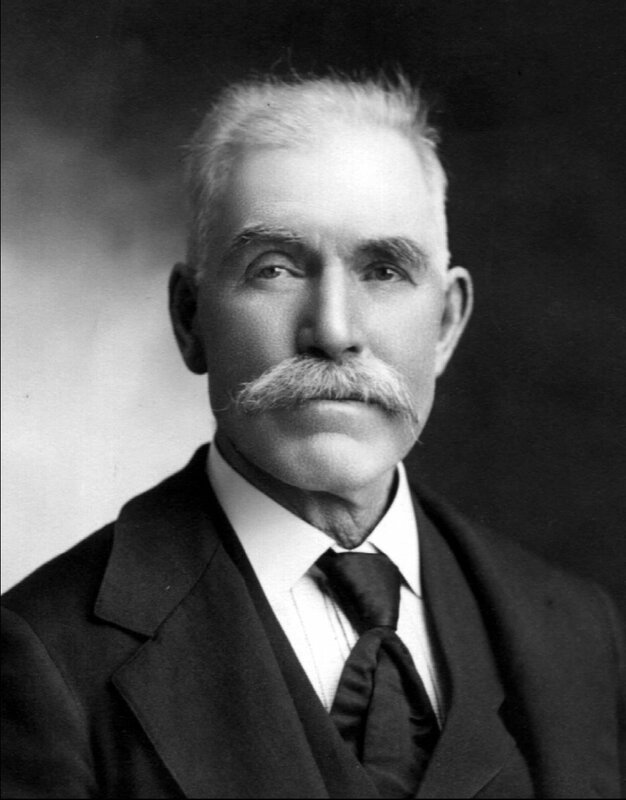 William Dolby Skeen was born in 1839 in Steelville Pennsylvania, son to Joseph Skeen, and brother to Lyman Skeen, all of whom were primary settlers in the Plain City , Utah area. The three men were among a larger group of Mormon pioneers who had originally settled in Lehi, but left to scout out an area in Weber County for a place with rich land for farming and a good water source. The area now known as Plain City lies at the edge of a delta where the Weber River fans out upon entering the Great Salt Lake. These early pioneers found that they could use water from the river for irrigation, and culinary water could easily be found by sinking wells. It was a good spot with plenty of water for their small party of pioneers. This group of men staked claim to the land, and are therefore among the founders of Plain City. After lots had been divided, William Skeen returned to Lehi for the women and children. His wife Caroline, and their infant son Joseph William (a.k.a. William Jr.) enter the picture here. Caroline was born in England, and had immigrated west along with other Mormon pioneers. She was not yet nineteen years old when she took her child and followed her husband along with several other families to settle in their new home. William’s mother, Maria Amanda Dolby, had passed on a few short years before, and was buried in Lehi. William Skeen’s stone house, circa 1863. Most of the early settlers in Plain City built dugouts with “dirt floors and roofs, a fireplace in one end, and a door and a window in the other . . . Sagebrush was used for fuel, also for light” (Plain City History Written by Daughters of Utah Pioneers). However, Joseph Skeen built a log house–the first in Plain City. His son William also built a log house for Caroline and the baby. Not long after, Joseph Skeen began assisting homesteaders in building adobe structures. Joseph Skeen is accredited with “having made the first adobes in Utah. He learned the process in California while with the Mormon Battalion and introduced it first into Salt Lake” (Plain City History by DUP). Although William did add an adobe section to his log home, his growing family didn’t stay there long. “In 1862 or 1863, he built a stone house of rock hauled from the hot springs northeast of Plain City” (Plain City History by DUP). It was the first house made of stone in town. By that time, William and Caroline had three children, and in 1864 a fourth was born. 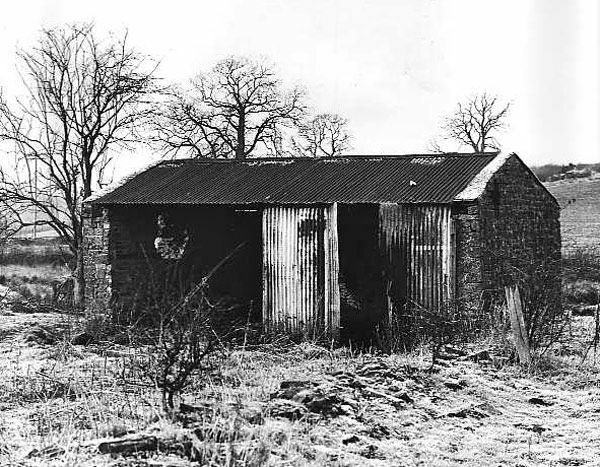 That house still stands, and is in use today. Once families had begun to settle in to their homes in Plain City, it became necessary to establish a way to make a living. The Skeen boys (William and Lyman) joined their father in the lucrative business of animal husbandry, specializing in horses and beef. William owned a couple of race horses, said to be famous in the area. He built a race track at the south end of town so he and his brother Lyman could race the horses brought by Lyman from Europe. William and his young family seemed to be doing quite well for themselves in Plain City. They followed the Mormon faith, and in 1865 William did as many faithful Mormons did at the time–he entered into polygamy. William’s second wife was a 19 year-old Welsh girl named Mary Davis–another immigrant. Although church leaders publicly abolished polygamy in 1890, William and Mary remained married, as most other polygamists in Utah did at the time. Eventually, the old polygamist marriages died off, and church leaders denounced the practice. On a side note: today any member of The Church of Jesus Christ of Latter Day Saints (formerly known by the nick-name “Mormon”) who enters into a polygamous marriage is excommunicated, and only fringe groups actively practice polygamy. Mary’s story fascinates me. I wonder how she felt coming into Plain City and entering into marriage as the second wife. History has not treated polygamous wives kindly–especially those who were not the first wives. It was difficult to find any information that mentioned Mary in the several histories of Plain City, although Caroline is nearly always mentioned in connection to William. It was not until I returned to the cemetery for a second look at the family memorial that I realized there was a second wife. This seems unfair to me, given that so much of this story centers around Mary and her children. 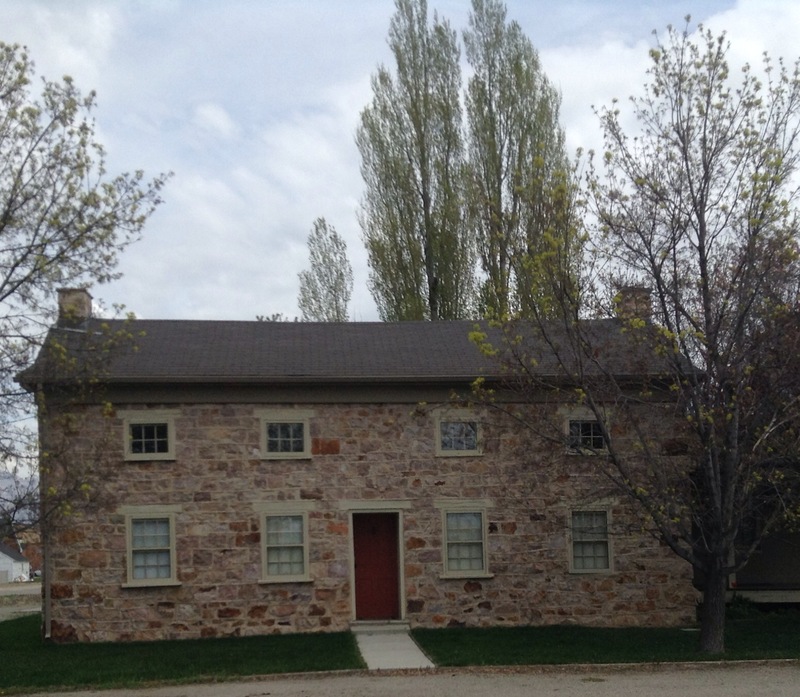 In 1868, William sold the stone house and moved his family to a larger home in town. At that time, Caroline had five children and Mary had an infant son. With two young wives, and six kids already, it seems clear that an even larger home would be necessary. By the fall of 1870, Caroline had given birth to another child, making six altogether. Mary now had three, and both women were expecting, bringing the total number of children to nine, with two on the way. I could find no evidence anywhere of how smallpox came to Plain City, but I find it interesting that the Plain City epidemic coincided with a European pandemic of the same disease. The fatalities in Plain City were high compared to the population, and in Europe over half a million died. I see no relation betwen the two epidemics, although it is also interesting to note that vaccinations were available but not yet widely used. I think it is likely that William, Caroline and Mary had either survived the disease as children or were previously inoculated. The first case of Plain City smallpox appeared in September of 1870, at which point all meetings in town were cancelled. It was a long, lonely winter for the residents of Plain City, since meetings were not resumed until March. When the epidemic first appeared, the townspeople quickly constructed a hospital of sorts, a pest house, about a mile outside of town. Not much mention is made of the pest house, except to say that the first pest house was poorly built, and was later torn down and reconstructed. The purpose of a pest house is simply isolation. Patients suffering from communicable diseases were left alone in the pest house to either die or recover. Food and water was brought in on a daily basis, but no one stayed to take care of those inside. Small pox. Image courtesy of stephenornes.com. The incubation period for smallpox is about two weeks, the disease itself lasts two to three weeks, and the first death in the Skeen household occurred in late November. Since the quarantine began in September, it is probable that the disease was inadvertently brought into the home by an adult helping other families suffering from the epidemic. Six year-old Jane probably contracted the disease sometime in mid October, well after the quarantine took effect. Little Jane’s life came to an end on November twenty-third. Not three weeks later, Caroline gave birth to a baby boy. As I studied family records, I found that the only mention of a child dying at birth, for either woman, is of Caroline’s son. Just two days after this somber delivery, Caroline lost another daughter–her ten year-old namesake. I wonder if the stress of having the epidemic in the household caused Caroline to deliver prematurely? As I mentioned previously, Mary had three children at this time–all boys: Elisha (4), Benjamin (3) and Thomas (20 months). Elisha and Benjamin took their last breaths on January 2, and Thomas succumbed to the illness a few days later on January 8. Mary’s young family was wiped out in less than a week. Given the young ages of Mary’s children (and possibly even Caroline’s), I can’t imagine that their parents would have left them in the pest house to fend for themselves. It must have been that the children were cared for at home–resulting in even more exposure to the disease. During this time, William reached out to community members for help. Dinners for the family were made and left at the doorstep, but no one dared knock on the door or come in. William asked the elders of the church to come and give the children priesthood blessings but no one came. No one would help him bury his children and he was not allowed to bring their bodies to the graveyard until all activity in town had ceased–at night. Townspeople were afraid for their lives. William was burying his little children on his own, in the dead of night, in the coldest part of the year. I can only imagine his anguish. The tall monument to the left is the Skeen family marker containing names and dates. To the right are the children. After Mary’s children died, Caroline lost two more: seven year-old Amanda and thirteen year-old William Jr. I think that William Sr’s biggest heartbreak must have come as he buried the babe-in-arms that accompanied him and his young wife as they settled in Plain City. William Jr. was the very first child born, and the very last to succumb to smallpox. Out of nine children, only two survived: eight year-old James, and one year-old Mary Ann. The big house must have seemed deathly quiet after losing seven children. We can see the evidence of the family’s pain in the birth of Mary’s son born sixteen days after William Jr.’s death. William insisted that the boy be named after his heart-break: Frenz Denial (friends’ denial). It was so hard for William to get over his pain that he quit attending church for awhile, and was later excommunicated. His rights and blessings within the church were restored posthumously. Both wives went on to bear more children for William, although it was once again Mary who suffered grievous loss: her six year-old namesake died in the fall of 1878. If you look closely at the photo above, you can count nine small headstones to the right of the tall monument. These are for each of the seven small-pox victims, Caroline’s infant son born in the midst of the epidemic, and Mary Jr. Three spaces were saved next to the nine children so their parents could keep their children company when they finally left his world. You can see the parents’ graves in the photograph–the three flat headstones between the memorial and the headstones of the children. As I said in Untold Stories, there are other graves in the cemetery bearing dates ranging from September 1870 to February 1871. Several families in the town were hit hard by the small-pox epidemic of 1870-1871. None one were hit harder than the Skeens. When I wrote Untold Stories, I said that I desperately wanted to tell this story. There is still much more to Mary Davis Skeen’s story. Just recently I came into contact with one of William and Mary’s descendants. I feel that I have just touched the tip of the iceberg here, and I am more determined than ever that Mary’s story really belongs in book form. I can’t wait to speak more with the great-granddaughter of William and Mary Skeen. Finally, her story can be told. I just now came across your blog, my third great grandmother is Caroline Skeen. I didn’t know anything about the tragic events of her children. It makes my heart break for her!! There are some additional family mysteries that nobody has been able to resolve. I really appreciate your efforts, it was a treasure to find this information. Your writing is beautiful, I am looking forward to reading through your entire blog. Thanks so much. I have been off of the internet for a few months, but I am repeatedly compelled to return to this project. I do know a bit more about the Skeen family now, including what happened to Elisha David– Stay tuned. I’m so glad you shared these links with me. I had never heard about this despite descending from Lyman. My Grandpa, Lyman’s great-grandson got a degree in animal husbandry and ranched with his father, brothers, and sons for a time before getting a PhD in psychology. Cattle ranching ran deep in our family.